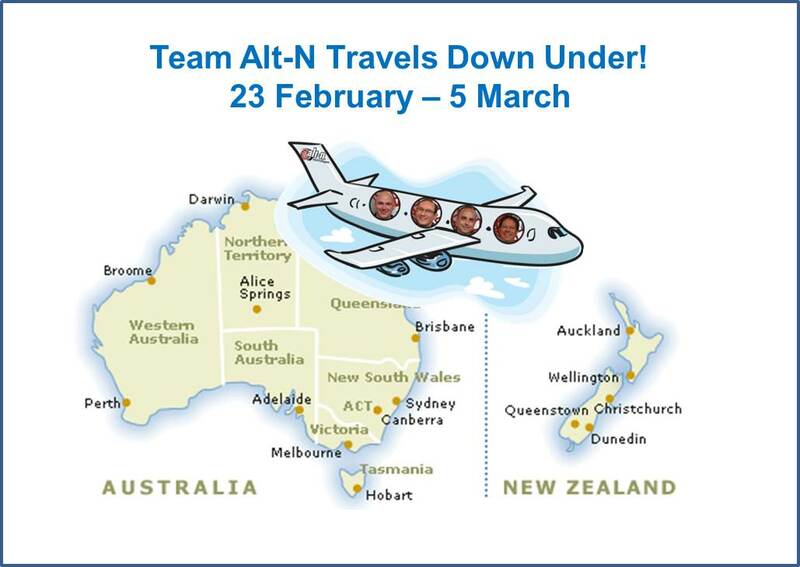 Team Alt-N to Travel Down Under! The team of Jerry, Kevin, Alan and Arron will be continuing the global customer visits that began last year and took them to more than 14 countries! These visits are intended to thank customers and partners for their business and to share Alt-N’s product direction while gaining valuable insight and feedback. This time, they are heading down under to visit customers and channel partners in Australia and New Zealand! Beginning Monday, February 23rd and ending Thursday, March 5th, the guys will be traveling to four cities in the region to listen, learn and share. Some venues will have formal events while others will be filled with customer and reseller visits. If you’d like to meet with the guys, drop us a reply with your location and we’ll be glad to get in touch to work out the details! Next ›MDaemon 15 is Here!